a free page for members here on our website. A charge of $40 per year applies to non members. inclusion in our Service Directory. This is also available to non members free of charge. opportunity to meet for business gatherings. usage of The Crossing Town logo. members who own/operate a business in or serving Mount Victoria will also be featured on our facebook page from time to time – a great way to share your latest promotion. all of the advantages of individual membership. Your membership fee of $20 is inclusive of individual and business membership. You join as an individual and your business benefits. Our website reaches the local community as well as tourists to our village while our facebook page reaches a wide audience. If you are in a community group/not-for-profit we can list your group on this website for free – but this does NOT include a vote in the Community Association. 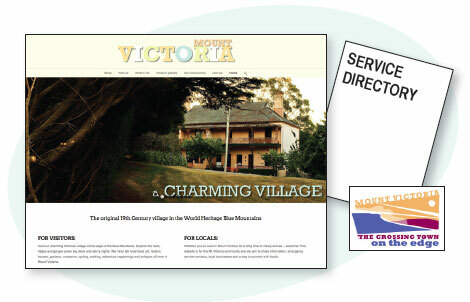 Your group can apply to be a member, either online or by downloading, printing and returning a membership application if it wants to be more involved in Mount Victoria Community Association decisions and activities. To include your listing please email: our Publicity Officer to find out more. General Meetings are held on the 3rd Monday of each month, except for December and January. 7:30pm at St Peters Church Hall, Great Western Hwy Mount Victoria (parking at rear in Ailsa St). Come along and have a chat, a cup of tea and piece of cake afterwards. Guests are welcome to join us however only financial members can make and vote on proposals. If you complete an Online Membership Application form there are instructions on how to pay by direct debit, cheque or cash included in the form. You have the option of printing your online application and the payment instructions for your own records after you’ve completed the form. Bring your cash or cheque payment to a meeting on the 3rd Monday of the month (except December and January) at St Peters Church Hall, Great Western Hwy Mount Victoria (parking at rear in Ailsa St). If you completed a hard copy Membership Application form instead of our online version, you should bring your application form too. The online version of the application will automatically be emailed to our Treasurer. Post your cheque to PO Box 50 Mount Victoria NSW 2786. If you completed a hard copy Membership Application form instead of our online version, you should post your application form with the cheque. Cheques should be made payable to “Mount Victoria Community Association Inc”. The online version of the application will automatically be emailed to our Treasurer but you can print it for your own records, if you wish. Any questions or problems? Contact our Treasurer here. Enquiries about promoting your business or non profit organisation should be directed to the Publicity Officer.